Donald Trump risks damage to the Republican Party’s prospects in November’s Congressional elections, attacking top GOP donors Charles and David Koch. The Kochs, free-market libertarians, have expressed their unease over the Trump Administration’s tariffs threatening trade wars with China, the European Union, Canada, and other countries. They also are opposed to the Administration’s measures, including last December’s tax cut, projected to add $1.3 trillion to the Federal Government’s deficit. On Monday, after their annual retreat, the Koch-funded network Americans for Prosperity said it will not support the GOP challenger to Democrat Senator Heidi Heitkamp in North Dakota, in one of the most competitive races this November. You take Koch money, it’s going to be toxic. We are going to let people know that if you take Koch money there’s a punishment. 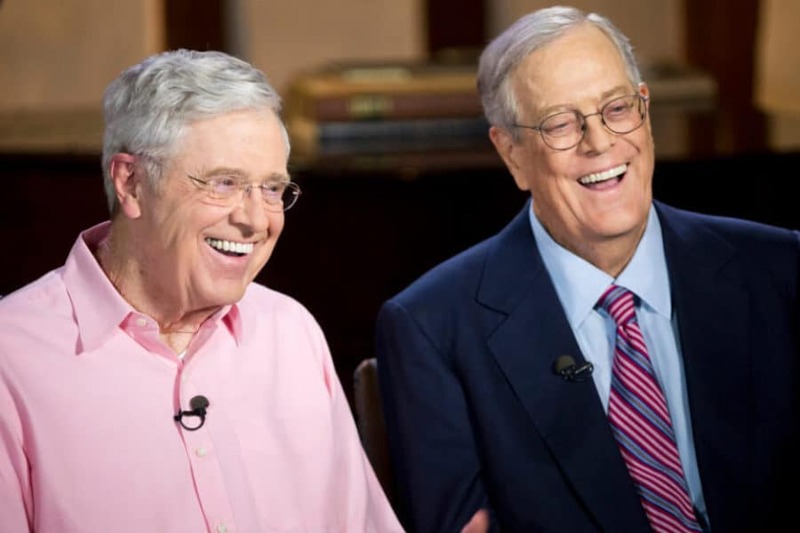 The Koch network has said it plans to spend up to $400 million on politics and policy in the 2018 election cycle. There could also be fallout within the Administration. Vice President Pence has been a longtime beneficiary of Koch donations throughout his career as a political and legislator. A top official says he warned the Trump Administration for months about the potential for harm to immigrant children if they were separated from their parents, before the “zero tolerance” policy was launched in April. But Jonathan White, who leads Health and Human Services’ reunification efforts, says he was told that “there was no policy that was going to result in family separation”. Almost 800 of more than 2,800 seized from parents are still separated, despite a court-order deadline. NextIs It Still Safe to Use Facebook?